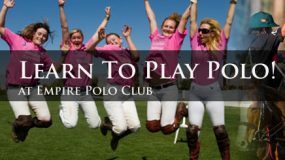 This coming weekend is the final weekend of polo for the 2019 Season at Empire Polo Club. We are excited to see which teams take home the big checks in our two “money games.” The finals will be played on Sunday and the start times are a bit later than normal, so please note the game times below. We would also like to take this time to thank our Members, Sponsors and Spectators for joining us this season and for supporting polo at Empire Polo Club. This Friday we are hosting “Polo Under the Lights” on March 29th at 6:30 PM. Admission and parking are free. Enter gates on Ave. 50 for Friday night games. 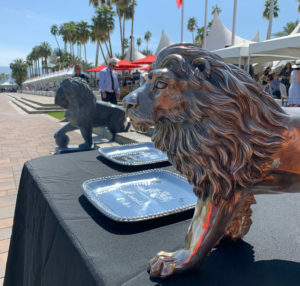 The finals of the 4-Goal USPA Lions Cup and 8-Goal USPA Champions Cup will be played at Empire Polo Club on Sunday, March 31st. The 4-Goal Final starts at 12:45 PM. The USPA will be live streaming the 8-Goal Final which will start at 2:30 PM. If you want to watch the live stream visit the USPA Polo Network channel on YouTube. 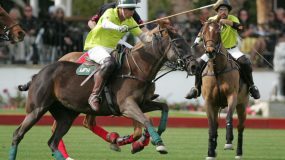 The USPA will also live stream the game on their Facebook page, Twitter and on their website on the Video page (uspolo.org). The live stream should start at 2:30 PM Pacific Time.